On February 26,2013, HELIOS Software release a turnkey file server solution for MAC, Windows and Web clients. 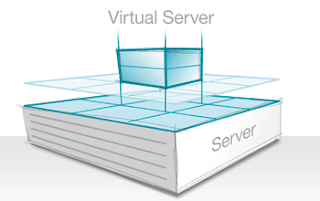 It is Virtual Server Appliance , it easily deploys VM server images and is compatible with major VM environments like VMWare, ESX server, Citrix XenServer and Microsoft Hyper-V. It also includes HELOS EtherShare UB2, PCShare UB2, and WebShare UB2 which could be used within minutes. This has only been possible because of HELIOS’ Virtual Server Appliance compatibility with Optimized Linux runtime. Any help regarding installation and configuration could be found with their videos. HELIOS UB2 Unbreakable Server Solutions deliver mission critical server solutions to enterprise, government, university, and prepress sites. WebShare, EtherShare, and PCShare provide integrated cross-platform networking for Mac, Windows and Web clients, with advanced file and print server features, and easy remote server administration. Apple Mac OS X, IBM AIX, Linux, Oracle Solaris, and Windows systems are some of the powerful servers in which HELIOS’ products run seamlessly. They aslo provide cross platform support for Windows, Mac, Web and Unix based clients. HELIOS products are sold worldwide to companies which provide networking solutions to their customers. It also works with numerous considered partners that use HELIOS server to deliver powerful third-party records, asset management and workflow solutions.